Last year, the John Rae Society took the first financial step towards the acquisition of Rae’s birthplace, the Hall of Clestrain. 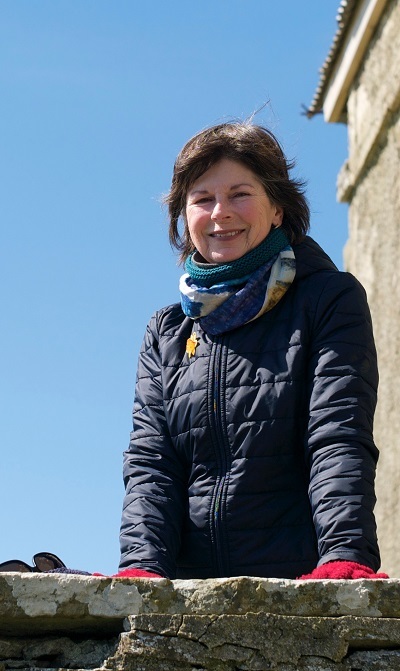 It plans to restore the Hall as a centre celebrating Rae’s life and the wider context of his work and discoveries for local people, visitors to Orkney, and Orcadians around the world. To raise awareness of this project the Society held a John Rae Festival from 5 to 8 May, combined with the launch of Finding John Rae by long-term supporter, and Rae’s great-great-grand-niece, Alice Jane Hamilton, from Penetanguishene, Ontario. The John Rae Society was also thrilled to welcome Dr Russell A. Potter, Professor of English and Media Studies at Rhode Island College, and author of Finding Franklin: The Untold Story of a 165-Year Search (2016). 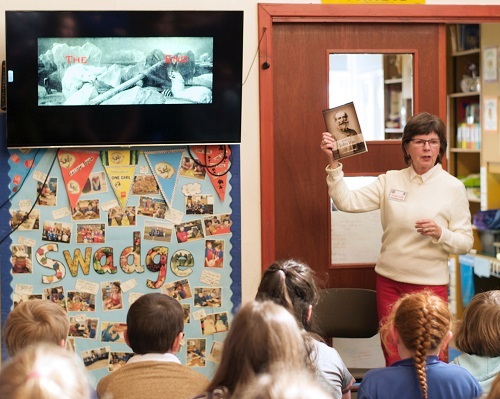 The first to hear this exciting combination of speakers on Friday 5 May were the pupils of Orphir School, perhaps the most important audience of all, as future custodians and promoters of Orkney’s historical legacy. Feedback suggests that the children are well-aware of the importance of John Rae’s achievements, and hold the Hall of Clestrain in great affection as a familiar sight in the Orphir landscape. The Festival was formally opened that evening by the Rt. Hon. Alistair Carmichael, MP, at the Stromness Hotel. He spoke movingly of Dr Rae’s approach to life and his respect for other communities, affirming that the Orkney community is still outward-looking and willing to learn from others. The speakers were introduced by Tom Muir. Jane Hamilton gave a brief introduction to her new book and how she came to discover her family connection to John Rae. Dr Potter then spoke on ‘The Habit of Exact Observation’: the Legacy of Dr John Rae, concentrating on Rae’s 1854 journey in search of Sir John Franklin, the relics and testimony he collected from the Inuit, and the reception of his findings on his return to Britain. He also talked about current research into the final months of members of Franklin’s expedition, including the tracing of modern-day descendents using DNA technology and social media, and brought us right up-to-date with the recent discoveries of Franklin’s ships, HMS Erebus and HMS Terror, whose last British port of call in 1845 was Stromness. Both Jane Hamilton and Dr Potter answered an interesting range of questions from the audience and the stage was set for more discussion and discoveries over the Festival weekend. On Saturday 6 and Sunday 7 May the John Rae Society held an open weekend at the Hall of Clestrain. The inside of the Hall is not yet accessible for safety reasons, but visitors were shown the outside of the building and surrounding land. This enabled people to gain a much better idea of how the restored Hall might look and function as a flexible display and study space, which would be open to the public, but also used as a venue for events and community groups. Thanks to the generosity of Ivan and Jean Craigie, the Society was able to set up a range of stalls and offer refreshments from the shelter of a marquee and garage. We also had portaloos, conveniently provided by Casey Construction. Jane Hamilton signed copies of Finding John Rae and Skaill House Falconry showed birds of prey to equally enthralled adults and children. Following in the footsteps of Dr Rae, chef, Samuel Britten, gathered wild plants and talked about foraging and living off the land. The open weekend also included the chance to view the John Rae Society’s education box, full of books and objects relating to Dr Rae’s life, the history of the Hudson’s Bay Company, and Arctic exploration. The box is available to schools in Orkney and many of the items were generously supplied by the Hudson’s Bay Company. Perhaps the most enjoyable aspect of the weekend was the chance to chat to people over tea and coffee and to discover the varied connections and interests of those who came to the Hall, whether friends and family, local residents, holidaymakers, or John Rae Society members and supporters. On Monday 8 May Dr Potter gave a presentation to the students at ICIT in Stromness, focusing on underwater discoveries in the wrecks of Erebus and Terror by Parks Canada. The Festival closed with a public evening lecture at the Town Hall, Kirkwall. 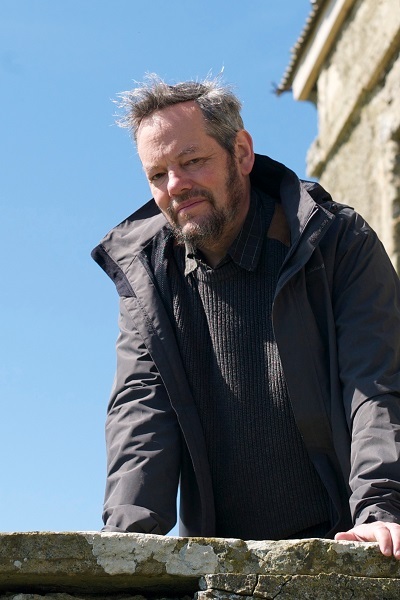 Tom Muir opened with a review of the weekend’s events and Jane Hamilton again introduced her book, this time expressing the hope that friendships forged during the Festival would lead to ongoing conversations between Orkney and Canada. Dr Potter spoke on ‘Things Worthy of Record’: the Legacy of Dr Rae, covering Rae’s correspondence with the American Geographical Society, various scientific journals, artists and explorers in the years following his discovery of the fate of the Franklin expedition. On Tuesday 9 May there was another chance to celebrate Rae’s legacy with a performance of John Rae’s Reel by the Maureen Findlay School of Dance, followed by a fundraising evening at Skaill House, hosted by Major Malcolm Macrae. Guests were treated to music by Kate Fletcher, Corwen Broch and the Wrigley sisters. There were canapés by Samuel Britten, with a mouth-watering list of ingredients, including lobsters from Orkney Fishermen’s Society, beef from Dounby Butchers, organic gravadlax, courtesy of Orkney Salmon and Jolly’s of Orkney, and bere products from Barony Mill. Drinks were provided by Rob Hill at Swannay Brewery, and the wines and cordials were sponsored by Harray Potter and Skarabooks. The evening ended with a charity auction, providing a fitting finale to the weekend’s festivities. The John Rae Society is thrilled with the response to its inaugural Festival and grateful for everyone’s interest and goodwill. 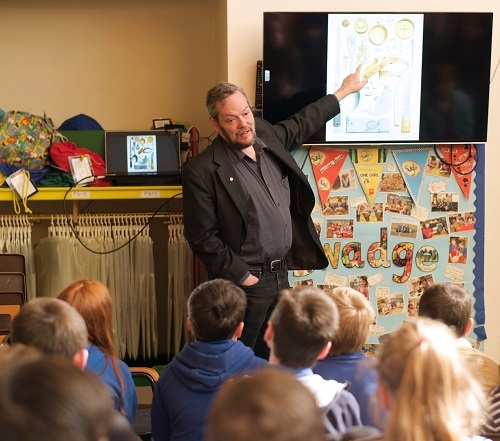 Over four hundred people from Orkney, the wider UK, the US, Canada and Germany, attended events, and friendships have been formed which, it is hoped, will open up further opportunities to raise awareness of John Rae and the Hall of Clestrain. Through sales of raffle and lottery tickets, books, merchandise and donations, the Society has raised over £4000 during the Festival. The restoration of the Hall of Clestrain is a long-term project and, with this encouraging beginning, the John Rae Society will continue fundraising to secure the future of this important building.